My name is Miss Maple (aka Heather). I'm from Canada and now live in a Canyon in Southern California. I first heard of the show when it was on PBS, the first show I saw was the Christening. My favorite episodes are the Christening of course, the Riaparian Entertainments, and Daisy's Boy Toy episodes. 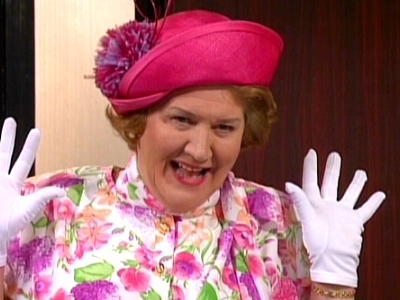 I love watching this series because never was there a character who was as delusional as Hyacinth! She literally thinks she's the Queen of England. Bless Richard- for not smothering her with an upper middle class cushion all those years. My favorite characters are Onslow and Rose. Looking forward to conversing with other fans. 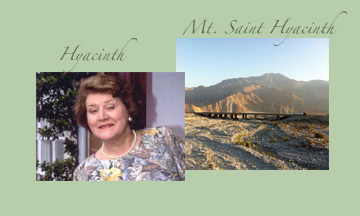 Coincidentally, I live near a big mountain called San Jacinto- in English it means Saint Hyacinth! Here's a pic! Subject: Re: Canuck in California!! !